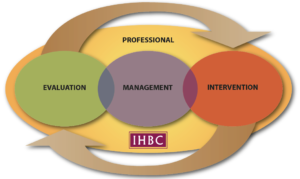 The IHBC is continually improving Continuing Professional Development (CPD) support at our Annual Schools, and for 2018 members can already assess projected skills and themes using a pilot CPD matrix suite – to promote School attendance and benefits to employers and sponsors – and now, whether there or not, new online CPD resources on our Day School ‘Speakers’ webpages mean everyone can boost their IHBC CPD through the School. 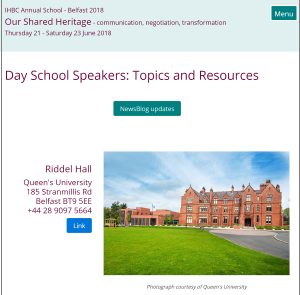 IHBC Branch Chair and Day School joint Chair Andrew McClelland said: ‘The Annual School speaker programme and tours within Belfast and beyond provide an ideal opportunity for delegates to progress their CPD requirements and develop their professional built and historic environment competences with like-minded colleagues in a stimulating learning environment. However even if you cannot attend, the IHBC has plans in place to access some critical – and free – CPD’. ‘This year we are offering enhanced CPD programme benefits for delegates – bit also for those who cannot attend – by supplementing our web pages with deicated onine CPD references from our Day School Speakers. ‘By working through these, delegates will of couse be able to build their cticial skills in advace of discussions on the day.